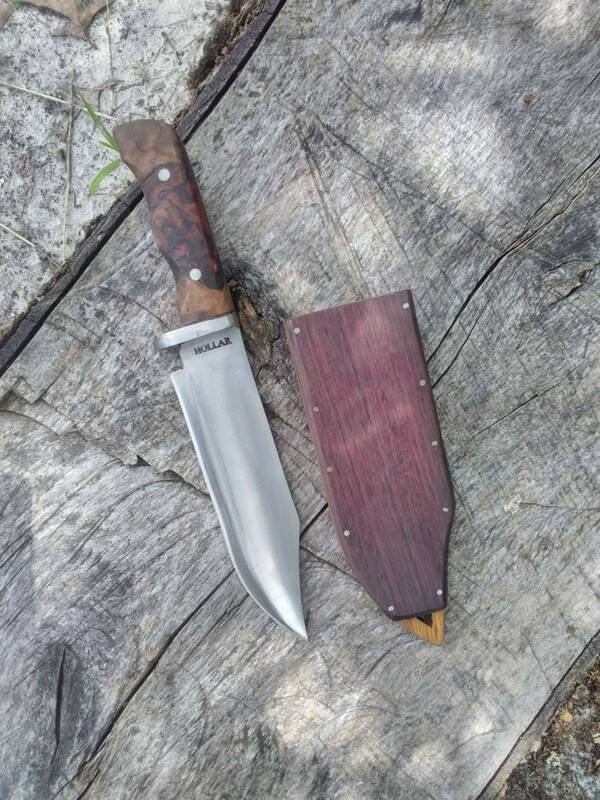 Hand Forged Bowie knife with a stabilized cherry burl handle. 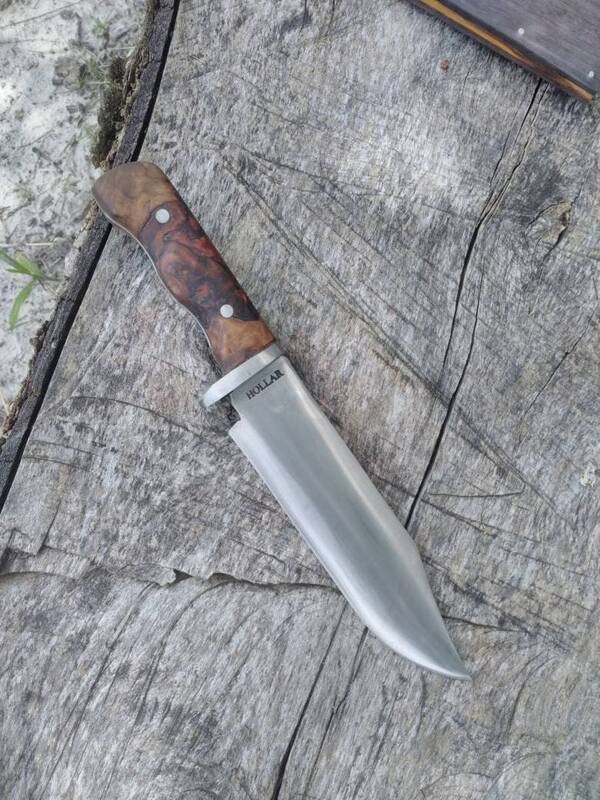 The blade is made from 5160 spring steel. 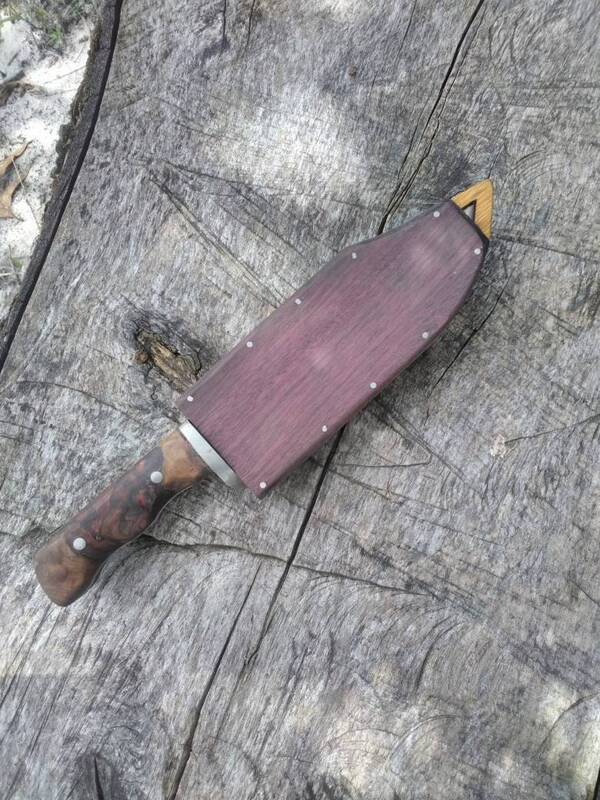 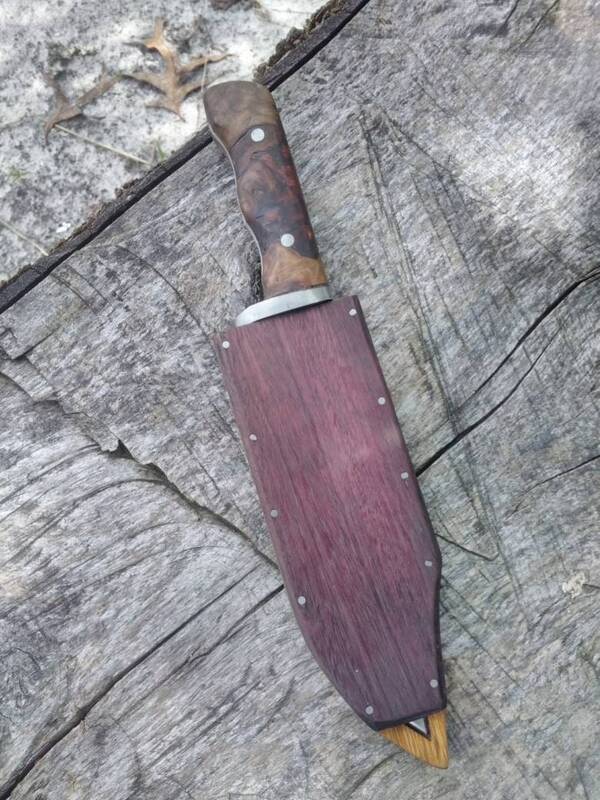 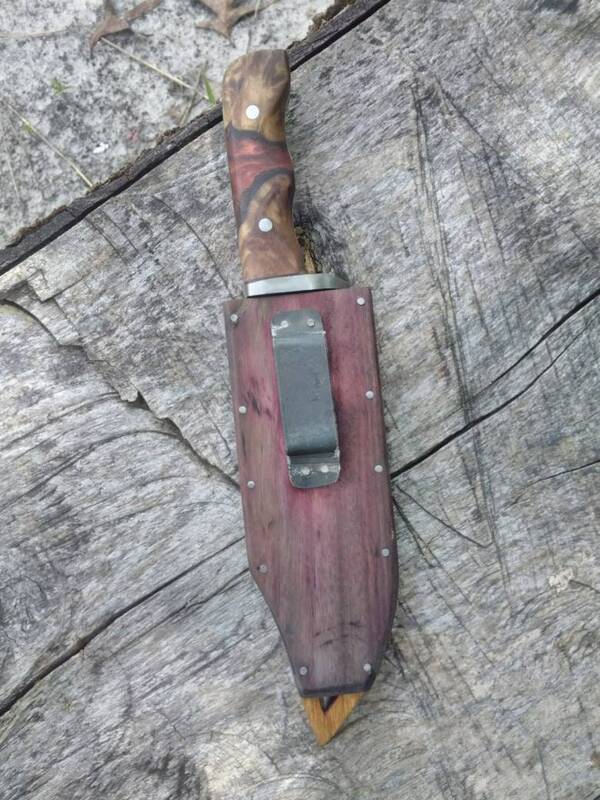 It comes with a viking inspired wooden sheath made from purple heart and marble wood.